Salary:Rs: 2,00,000 – 7,00,000 P.A. 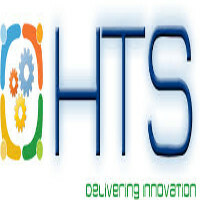 1 to 5 years of experience in developing web based application using DOT NET technology or J Query/Java Script. Good Experience in Dot Net based Web development (ASP.Net, MVC,WCF, HTML5, CSS, JSON etc.). Expert in development using JQuery Libraries, AJAX. Expertise in – HTML 5 CSS, Java Script. Framework design and implementation using .NET. Experience on developing Web based application using ASP.NET, C# and XML. Experience in Web Parts, Web services. Able to understand design documents and convert it to code. Strong and effective inter-personal and communication skills and the ability to interact professionally with a diverse group of clients and staff. Able to write Views, Procedure, Functions. Optimization and performance tuning ability. Willing to learn new technology and implement in work. Land Mark: Near HDFC Begumpet Branch, Above Levis Showroom.